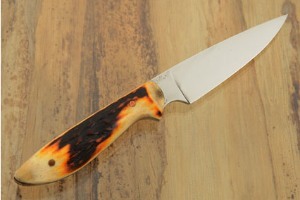 Natural stag is nicely rounded for a sure, comfortable grip. The natural texture of the stag feels great. 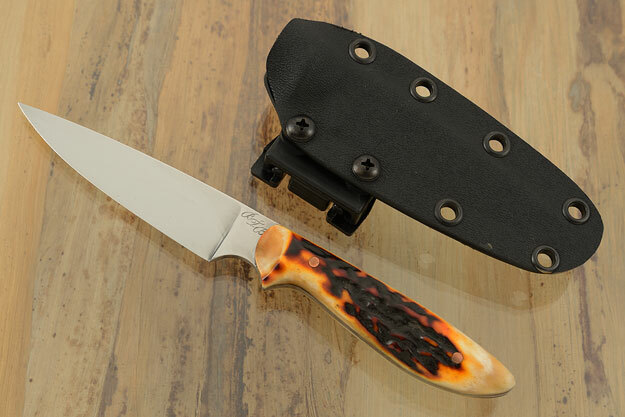 Because both the blade and full tang are distal tapered, this knife has a perfect balance. The knife is accompanied by a sturdy Kydex belt sheath that is sure to keep this knife at the ready when not on display. 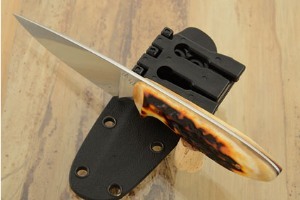 A small Tek-Lok (included) allows for easy right or left handed belt carry. Adding paracord would allow it to be used as a neck knife. 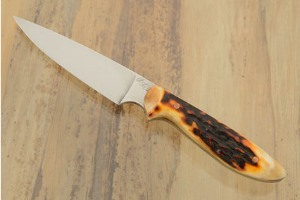 An excellent knife from Bill Burke that is a unique digression from his norm, and truly a hard to find, superior little performer! 0.2109375 0.1015625 210.9375 101.5625 Trailer Completed.